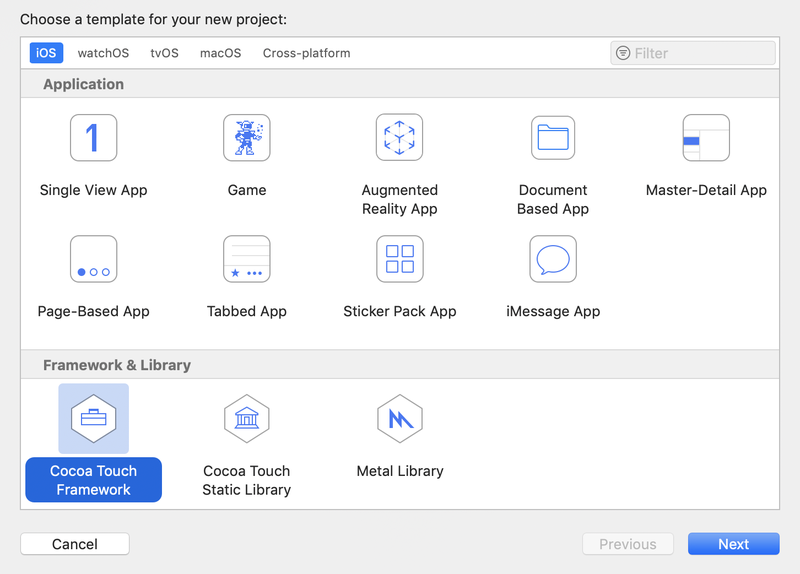 As an iOS developer, you may have used a few CocoaPods libraries in your project, and you may have been very familiar with how to install them and call their methods. However, have you ever dreamed of contributing to the iOS open-source community by distributing your own pod(CocoaPods library)? Imagine many iOS apps are going to use your awesome library, isn’t that fantastic? In this tutorial, I will show you how to distribute a simple pod. In addition to that, you will also learn how to leverage Travis CI and Codecov to make sure your pod is reliable and robust. In the bootstrapped workspace, one thing I don’t like is that the codes related to unit test are nested inside the example target, it doesn’t make sense to me. After some trial and error, I figured out a way to create a pod from scratch and nicely organize the codes for unit testing and examples. 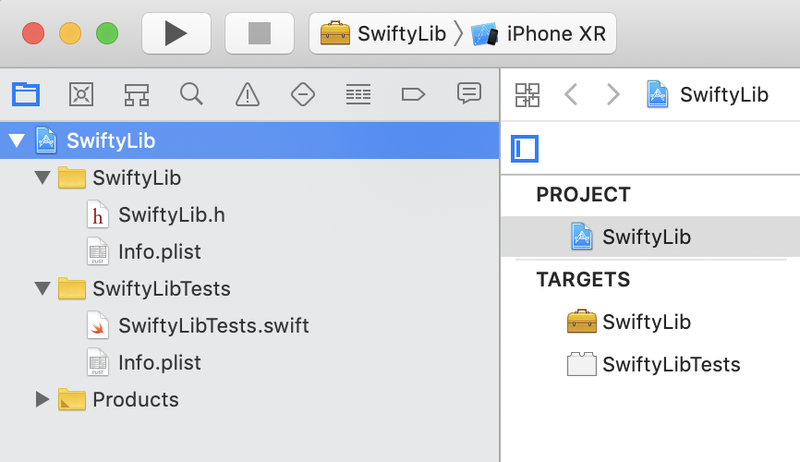 Actually, before we create the project, there’s an important task to do, let’s name our pod SwiftyLib and make sure the name has not been taken on CocoaPods, luckily it’s not been submitted, so we can go ahead. Under the hood, a CocoaPods library is a Cocoa Touch framework library. 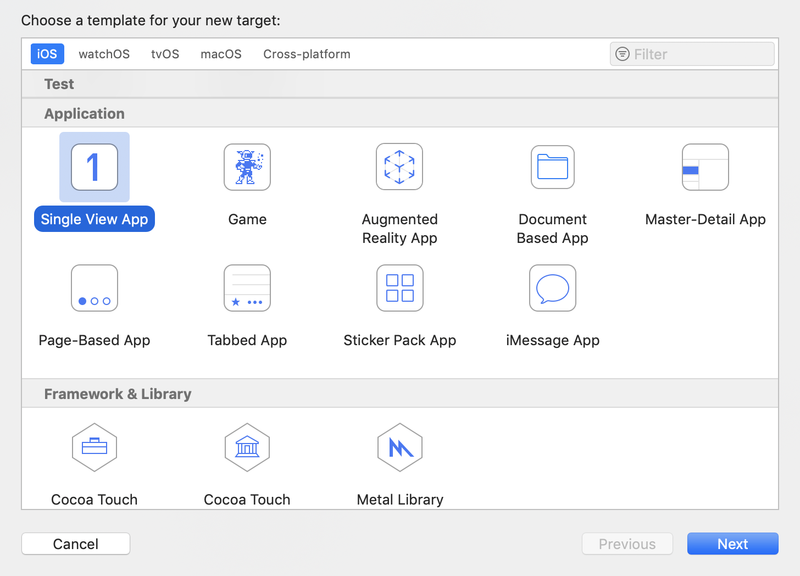 Launch Xcode and create a new project, choose Cocoa Touch Framework . 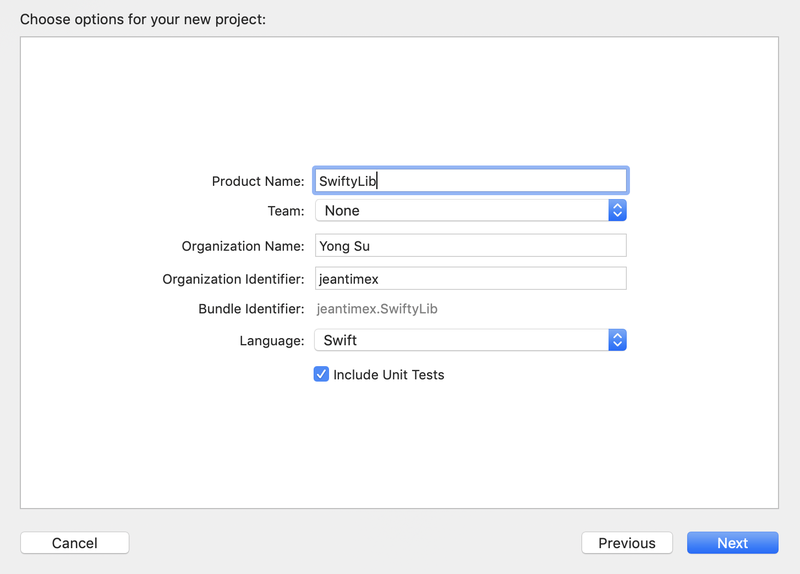 Enter the name SwiftyLib , select the checkbox Include Unit Tests . On the next page select the project location and do not check Create Git repository on my Mac as we are going to create it later on. 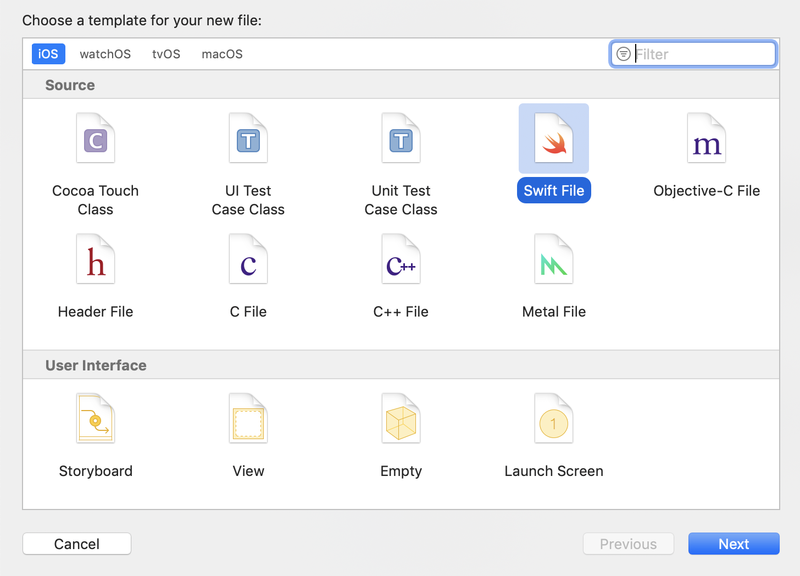 In Xcode, each target has a scheme that allows you to control build and test behaviors. 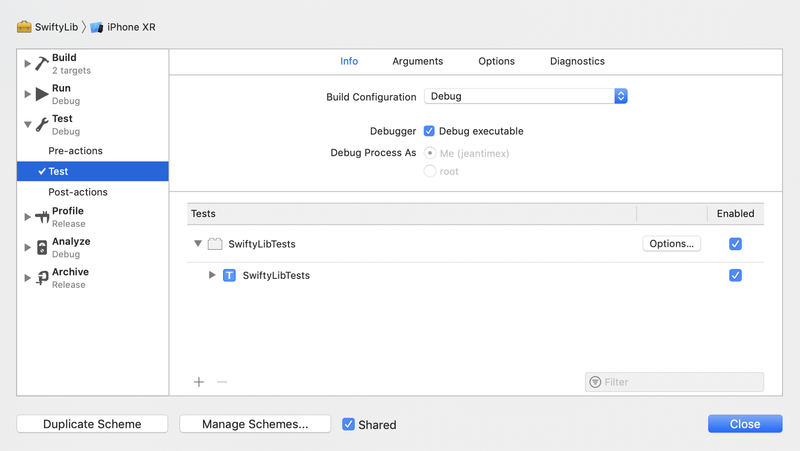 As you can see in the SwiftyLib scheme, when we perform the Test command, it will trigger the tests written in SwiftyLibTests target. In many Cocoapods projects, developers like to put some demos or examples as part of their pods, those will help people better understand how to use the pods. To do that, let’s add a new target called SwiftyLibExamples . 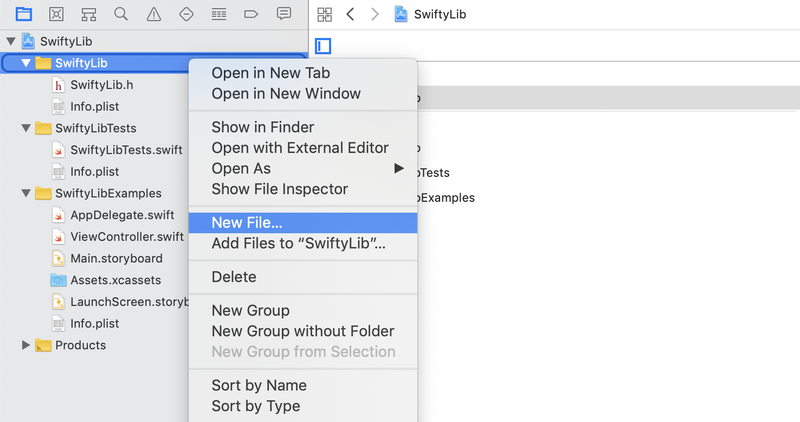 Select SwiftyLib project from the project navigator, then choose File > New > Target…, select Single View App as the template and click on Next . Enter the name SwiftyLibExamples and click on Finish . 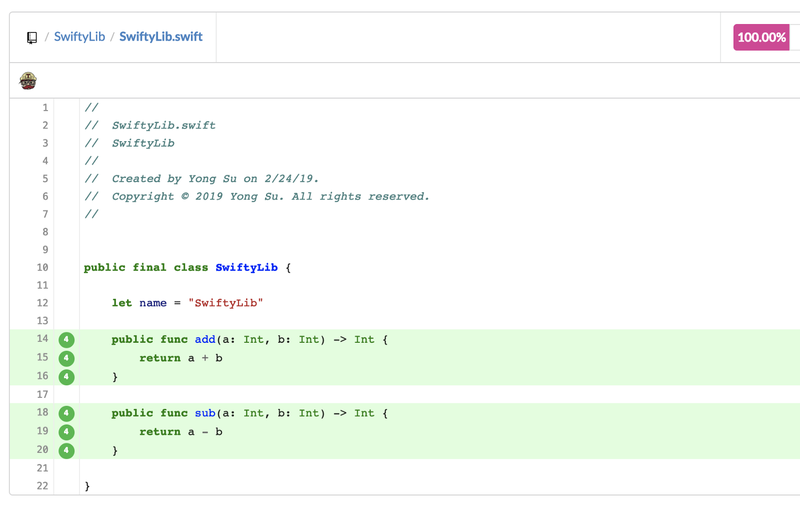 The SwiftyLibTests is not nested inside the SwiftyLibExamples . Later we will implement the examples using our pod, for now, we just complete our first step and successfully scaffold the project for making a pod! Needless to say, Github is the best hosting service for open-source projects, more importantly, when you publish the CocoaPods library, Cocoapods asks you to specify the location from where the source should be retrieved, and Github is a perfect choice. 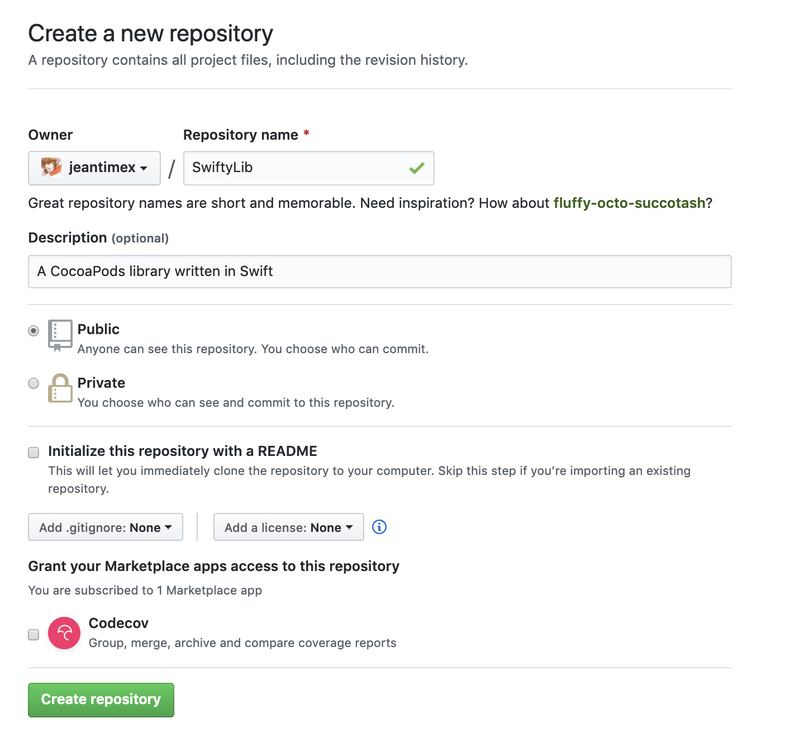 Go to Github and create a new project called SwiftyLib , keep other settings as default and click on Create repository , an empty Github repository is now created. > git commit -m "Initial project setup"
Now we have uploaded our source codes to Github! Before we finish this section, let’s create a README.md file and an MIT license file from the Github page. 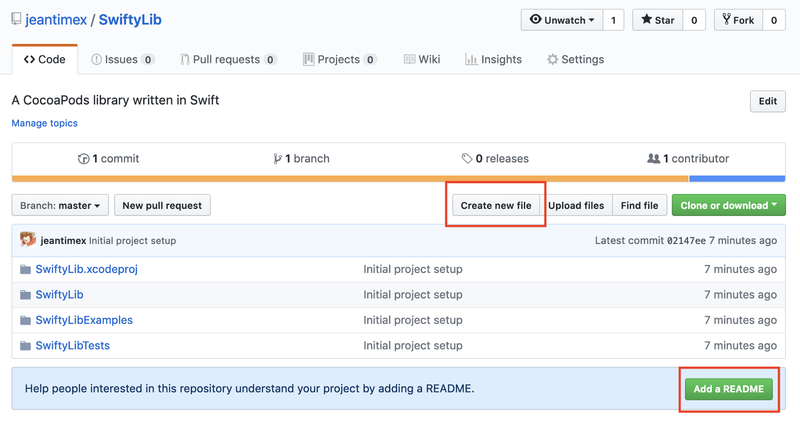 To create a README.md click on the Add a README button, to add an MIT license file, click on the Create new file button and follow Github’s official guide here, it’s really simple. Once you are done, type in the following command to sync with the remote repository. Well done, you have just completed another milestone! 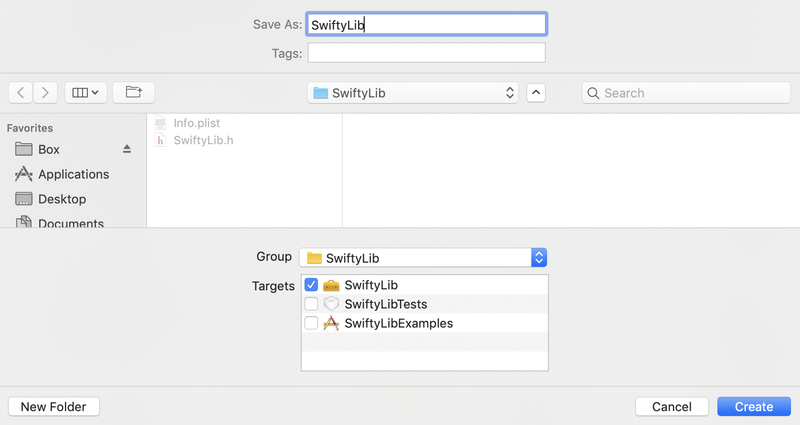 Name the file as SwiftyLib , make sure this file belongs to the SwiftyLib target and save it in the SwiftyLib folder as shown in the screenshot below. Our library is fairly simple! It has two functions to do the calculation. Save the file. 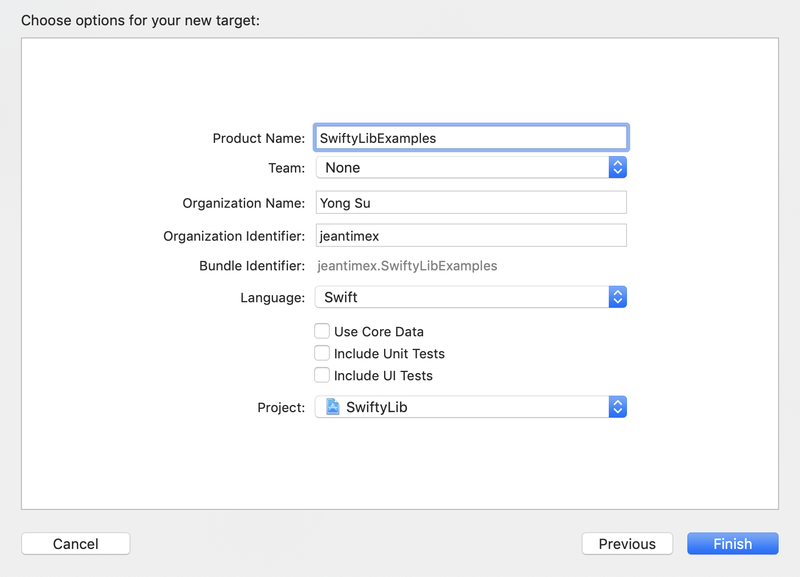 Remember, whenever you edit files in the SwiftyLib target, in order to let other targets use them, don’t forget to build the SwiftyLib target! Click on the Build button or use the keyboard shortcut ⇧⌘R Shift-Command-R .
we just implemented our SwiftyLib library, let’s write some unit test cases. As you can see, the coverage is only 50%, because we didn’t write a unit test for the sub() function, let’s do that now! Now run the test again and our code coverage should be improved to 100%! At this point, we have a pretty robust pod, let’s save all our changes and push them to Github. > git commit -m "Added test cases"
Whenever we push new changes to Github, we should test our pod and make sure all test cases are not broken. We can leverage Travis to help us run test cases and submit the code coverage report to Codecov. Codecov is a reporting tool that is intended to process any coverage report format into a format that is standard across Codecov. You may change the configuration of how Codecov processes reports and expresses coverage information. In order to let Travis pick up any change in our Github repo, sync up your Github account on Travis and enable our SwiftyLib repository. Basically, it instructs Travis to run the unit tests on two different devices that run different iOS versions. You can ask Travis to test on more devices, but make sure the version of iPhone simulator supports those devices, you can check the full list here. Save the .travis.yml file and push it to Github, trigger a build on Travis, you should see that Travis runs the test cases for the commit you submitted. you probably will see some weird report with unnecessary files being reported, but we only want to see the coverage report like the one we saw earlier in Xcode. To fix the problem, that is to let Travis send the accurate code coverage report to Codecov, let’s borrow another tool Slather. With slather, we can specify how to collect the code coverage information accurately. Here we tell slather to collect the code coverage information from SwiftyLib scheme and please ignore the codes from the unit tests. 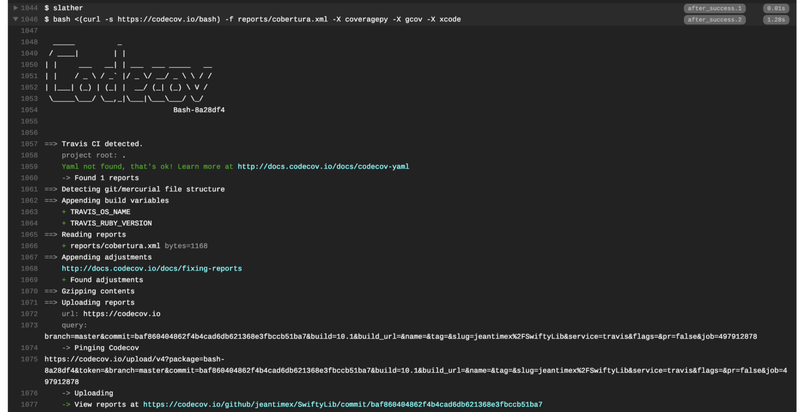 Now edit .travis.yml and add an after_success section to upload the report that collected by slather to Codecov after the unit testing is completed. Excellent! We reached another milestone, our pod is robust and protected by Travis and Codecov. Finally, it’s time to publish our pod! First, install cocoapods . Then create a podspec file that defines our pod, e.g., where to find the source. Great! Let’s save our changes to Github! > git commit -m "Added SwiftyLib.podspec"
Notice that the version number should match the spec.version defined in the SwiftyLib.podspec . Congratulations! You just published the CocoaPods library to the open-source community! The project source code can be found in Github.